Your planetary ruler Mercury will be staying in Leo for the whole month, and this part of your astrological chart is related to your social activities and your communication with others. As Venus will be in the same sign for almost the same time period, you’ll enjoy the emotional splash during the process of your interaction with others.  After July 23, however, Mercury will start going retrograde making you feel less confident. Saturn will stay in this part of your Astro chat for another two years, which presupposes that your social life will take a more serious turn. The good news is that Saturn will leave Cancer this month improving your financial situation.